Agia Galini, Crete - Now full!! 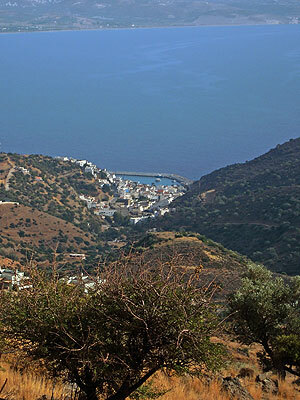 We're returning to Southern Crete for the next workshop - back to Agia Galini, a small town nestles in a sheltered bay at the foot of a gorge on the South Coast of Crete. The town has good accommodation, restaurants and bars and is pleasantly quiet in May. We were last in Galini in 2013 and 2015 and everyone vowed to return - if only for the food!! The workshop will have the usual mix of styles reflected in John's repertoire but there will be a particularly retrospective feel as 2016 is the 50th anniversary of the start of John's recording career. There will be sessions on technique, harmony and recording solo guitar as well as a good list of study pieces for students to get their teeth into. May is arguably the nicest month in the Cretan calendar - weather warm but not too hot, beautiful spring flowers all around and snow still on the high peaks. 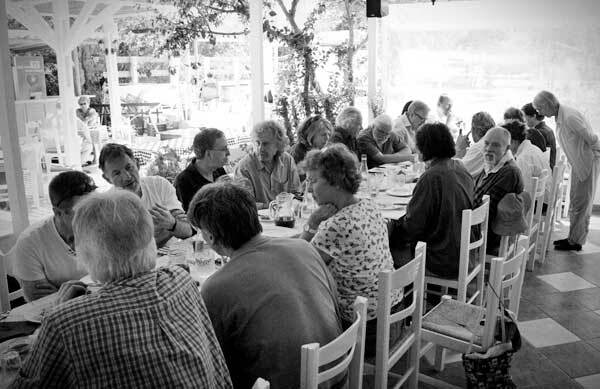 Sessions and meals will centre around the Kipos Taverna close by Agia Galini's camping site within easy strolling distance of the beach and town. Spare time will be easily filled with plenty of opportunities for private study and, of course, jamming for those who are looking for total immersion in the music. See the prices & booking page for more info on prices and accommodation types and check out the Previous Workshops page to get a flavour of these events.